First, read this article and watch the video that goes along with it! BBC News’ Maddie Moate tackled the question of what would happen if bees were extinct, and the prognosis was a lot worse than fewer stings and no honey. When a person buys all his or her food from the aisles of Kroger, it becomes pretty easy to forget that someone is out there farming it. It’s even easier to forget that all those fruits and veggies need to be pollinated, and 70% of that is done by bees. Unfortunately, scientists say bees are dying off more rapidly than they should be, endangering half of the world’s fruit and vegetable intake. 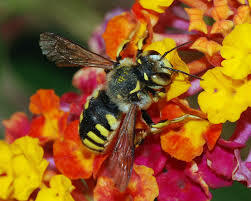 For the most part, Moate cited pesticides and global climate change for this bee epidemic, and she is 100 percent right, but I think that the root of the problem is a lack of education. If pesticide designers and the farmers who buy them, knew that a lack of bees could severely lessen their harvests, or lead to farmers having to pollinate by hand, they would no doubt find a way around it. The most important step to protecting bees is educating those involved with agricultural about their importance. Global climate isn’t going anywhere, and if the weather is killing off bees, it is more important than ever that someone steps up and protects them. Middle childhood education student with creative and professional writing degrees from Miami University.